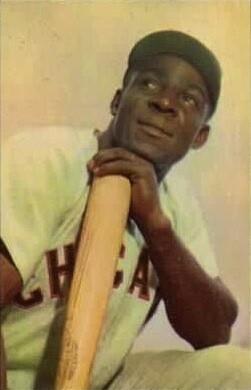 Minnie Minoso: Baseball's been very, very good to him. A documentary on former White Sox star Minnie Minoso is threatened with silence unless it can earn a final $20,000 in funding. TV producer Tom Weinberg is going through the fund-raising site kickstarter.com to raise the money for final editing, starting Monday. A preview link to the project with a trailer is already online. Minoso has been one of the most popular Sox players for decades. A sort of half-victim of baseball's color line, he was named American League Rookie of the Year in 1951 with the Sox at the age of 29. Recently, stats hounds including Bill James have put forth that he belongs in the Hall of Fame if his career were to be extrapolated over a full baseball lifetime. Weinberg says he has been working actively at the project for over a year, but that it compiles almost four decades of research over his longtime friendship with his favorite childhood player. He has an online archive of his earlier work, including pieces on Studs Terkel. Set for release late this summer, it's titled "Baseball Has Been Very, Very Good to Me: The Minnie Minoso Story." That line, of course, was appropriated by original "Saturday Night Live" Not Ready for Prime Time trouper Garret Morris as Chico Escuela. With Minoso, however, there was never any irony to it. He meant it, and still means it.